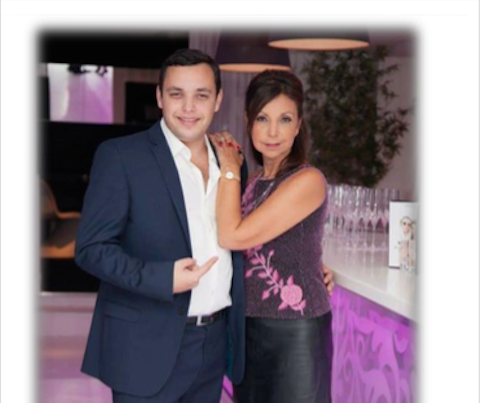 Read on to find out who is behind the new De Medici Restaurant in Marbella! The renovated DE MEDICI restaurant is situated in the beautiful, quiet residential area of Benamara, Estepona. Its strategic location is only a few kilometres away from Marbella’s international area Puerto Banus and is well-linked to all cities in the Costa del Sol via the Autovía del Mediterráneo (A-7) and the Autopista del Sol (AP-7). Less than an hour away, the restaurant can easily be reached from Gibraltar, Malaga and Sotogrande. There is also a large parking area which further enhances accessibility. The restaurant existed under the same name for several years before being taken over by its new team, but it is now reopening with an entirely different style. The beautiful Spanish villa has opted for a more modern, international design for its new beginning, whilst simultaneously holding on to its original Andalusian charm. De Medici ́s new business approach offers customers a top-quality, healthy meal with fresh, natural ingredients to promote a positive lifestyle. What stands out most from their menu is the blend of international tastes (from Asia, Italy, France, etc.) and multicoloured ingredients sourced daily from their fresh vegetable garden. They aim to encourage customers to not only enjoy a range of exquisite tastes, but also benefit from their balanced, nutritious meals. A combination of whites and greys, the brand’s image connotes an ambience of both subtlety and elegance. Such is the theme of the main dining area (with space for 70 diners) and the large terrace (with space for 52 people, seated). ...and that's not all! At De Medici, you will also be able to enjoy live events and entertainment! The “Sobell family name” is synonymous with catering, event management, consultancy and entertainment of the highest standard. These are the aspects that Jonathan and Carole Sobell – owner and restaurant consultant respectively - want to bring to the Costa del Sol. They are the latest in a long line of the Sobell dynasty which pre- dates the 1920s, as well as Carole ́s younger daughter who is also involved in the family businesses. With this new, refreshing proposal of their villa-restaurant, they hope to extend this legend, carrying on the Sobell family tradition with the same standards that the dynasty has held up until this day. Behind DE MEDICI’s menu will be the constant monitoring of Carole Sobell who, after twenty years of continuous activity, has gained a highly-respected status in the world of catering, her "beloved profession", and has a strong presence in the English media with an excellent reputation for her work and clientele. The entrepreneur’s success is owed largely to her ability to turn imagination into reality. Be it an intimate dinner with a few dinner guests or a banquet attended by thousands, she knows how to satisfy the taste buds and capture the perfect ambience. She has had the challenge, “and pleasure” of working for many large companies and celebrities such as: the British royal family, US President Bill Clinton, singers Michael Jackson and Lionel Ritchie, a number of world- class politicians and companies from the top of the London Stock Exchange (according to the Financial Times). At the core of this menu, which includes breakfast, brunch, lunch and dinner from 9am until 12midnight, are fresh, quality products and international recipes. Among the many delights on offer are: starters with ingredients fresh from the sea and vegetable garden; light meats; salads with creative, tasty combinations; hearty dishes for meat-lovers that come with large vegetable side dishes cooked in many different ways; a variety of egg dishes (Florentine, Benedict, Royale, Poached etc. ); traditional Italian pasta dishes with a modern twist; a very healthy and nutritious children’s menu and, of course, a homemade desserts stand with various enticing products for sweet-toothed customers. The drinks menu includes original juices and smoothies that are rich with vitamins (served until 12 noon). It also boasts an appealing selection of wines but customers are free to bring their own bottles that will be uncorked by the waiters upon request. However, the highlight is undoubtedly the proposed cocktail menu, offering unique combinations that come directly from the chic, cosmopolitan city of London. De Medici is named after the influential Renaissance family that has gone down in history as a great patron of artists and, by the same token, the restaurant displays some interesting works of contemporary that art may be admired amongst its décor.